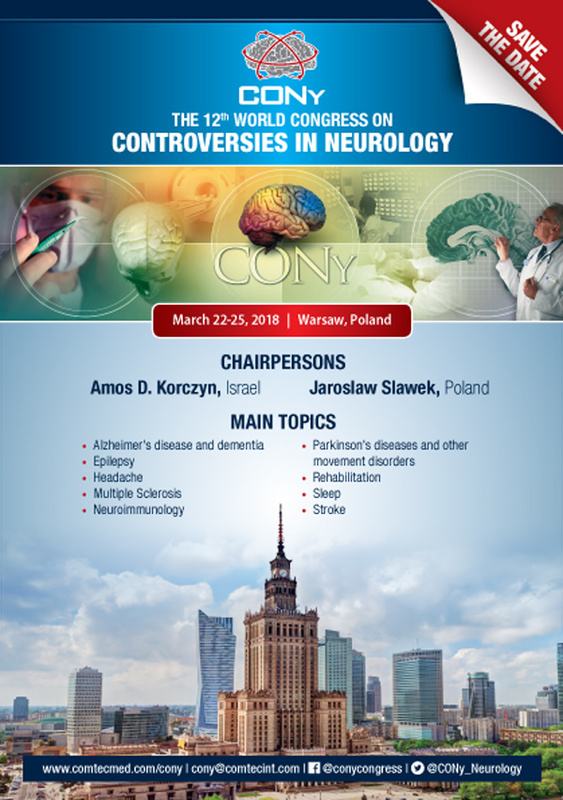 Dear Friends and Colleagues, We are proud to announce that the 10th anniversary World Congress on Controversies in Neurology (CONy) will take place in Lisbon, Portugal, in March 17-20, 2016. In recent years the field of neurology has witnessed enormous expansion in clinical and basic data. Conferences are more informative but there is often only limited time for thorough discussion. Consequently a gap appears between the expansion of knowledge and its dissemination and use. CONy provides a platform for international experts to discuss and compare experiences. CONy enables participants to discuss and debate unresolved issues with leading world experts. The Congress aims at providing the most available relevant data armoring the clinician with reliable, up-to-date scientific information, helping in everyday patient care. As in the previous CONy Congresses, there are a number of sponsorship opportunities available, including industry-sponsored activities. In addition, we would be happy to tailor a sponsorship package to your specific needs. Capsule: Neurorehabilitation is our precious effort towards recovery. It is still unclear how we will get the best of our clinical endeavors. Also, we still have to decide if we listen to intelligent molecules wisdom or to fascinating new technologies or even combine them sometimes. Capsule: One of the important issues in neurology is the protection of neurons. Several studies have failed to identify helpful treatments. Why and how can these difficulties be overcome? Capsule: One of the important issues in stroke therapy is the protection of neurons in the penumbra region. Several Studies have failed to identify treatments which could help. Why and how to overcome these difficulties?